Behind every great lipstick there is a great lipliner. I’m really sticking with this pink kick, and following on from my post on perfectly pink lipsticks, I also have three perfectly pink lipliners. Lip liner is the best. It really is. It makes your lips look bigger, makes your lipstick last longer, prevents colour smudging or bleeding and means you can customise your lipsticks by playing around with different shades. For one that goes with any shade and is particularly useful for creating more voluminous lips is the Dior lip glow liner. My love for the lip glow balm has long been documented, but the liner is new. On me, it just gives the tiniest hint of colour, but it shapes the lips nicely and the slanted tip makes it so easy to apply. One to use with the lip glow for the best my lips but better ever. 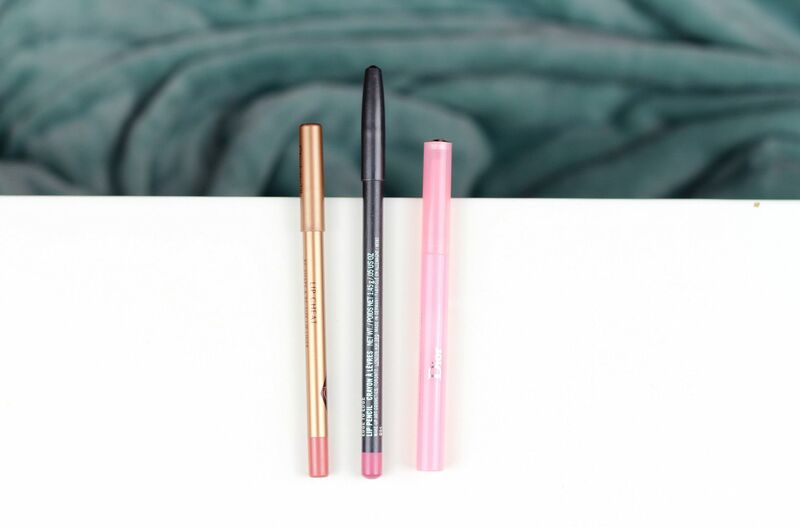 A bit of a blogger staple, the Charlotte Tilbury lip cheat in pillow talk. OK, can we talk about the formula on these? So so creamy, it just glides onto lips. The actual shade is so close to my natural colour that it makes this one in particular the best option, for me, to slightly over-trace my top lip to make it a bit poutier. I use this under a lot of lipsticks, and this is my second one. A seriously underrated option from MAC is edge to edge. It has all the same flattering qualities as pink plaid lipstick in that it instantly gives the lips a girly flush. Love this. This and pink plaid are my go to combination for when I want to feel pretty. Do you have any favourite liners? If you liked this post you might like this post on the Dior glowing gardens collection or this post on new in from Dior.